The Business Card: Remember Me, Please? 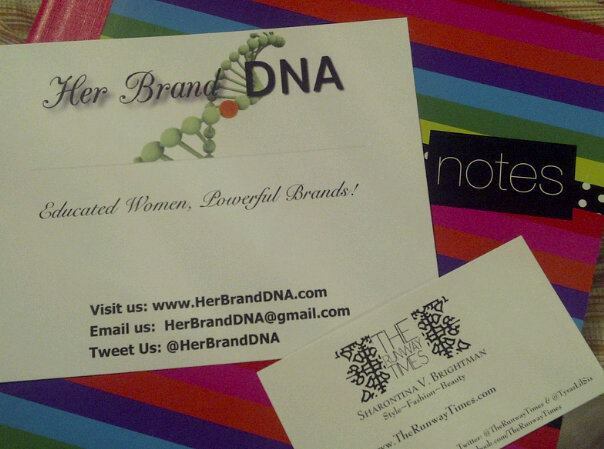 The first line of business in the new coming of Her Brand DNA is to talk about one of the most essential components of personal branding, the business card. The business card is literally one of the most crucial marketing materials one can have. It’s small, so it forces you to be concise and straight to the point, it gives people a glimpse into your brand’s world, and it is ultimately the recipient’s reminder that they actually met you. I’ll tell you a quick story about an experience I had that let me know I needed to get business cards if I was going to be taken seriously. I was invited to a soiree in New York City by career coach and marketing powerhouse, Crystal Wright, for a chance to finally connect with her in person after having communicated with her on social media for over a year. When I arrived to the venue, her Packaging Your Portfolio class was being dismissed, and as I waited for her to exit the building, not really knowing anyone there, I smiled shyly at others who were exiting. A woman walked up to me, inquiring who I was and what I did for a living. For some reason, I replied, “Oh, I’m just a student from Philadelphia…” (never do that! I know for a fact that you are and do more than go to school). So, she looked at me strangely, as if to say, “well, what are you here for?”, and I believe she actually said it in a way that didn’t sound so intrusive and interrogatory. I explained to her that I was invited by Crystal, and I’ll admit that I felt a little uncomfortable at her level of concern as to why I was there. After listening to my explanation, she said, “Oh, okay…well do you have a business card?”. I replied, “nooo….. I don’t”, and she looked at me as if I said I was going to China without knowing one word of Chinese! She then said, “Whaaaat? You’re a student…..and you don’t have a business card?” I’m looking at her like she is crazy at this point, because I honestly missed the mandatory assignment where students had to get business cards made. I wanted her to find interest in something or someone else and leave me be. Actually, I wanted Crystal to walk out of the venue and interrupt the whole awkward moment, and she did, but it made me think about the fact that I didn’t have a business card and I had no clue why. I remember feeling so embarrassed for not having one, even though I didn’t realize that I should have one. At that point, I had started my blog The Runway Times, but it had literally only been a month old. I hadn’t experienced any real networking events at that point, so I was like a fresh fish out of water and I was quickly learning the ropes of what it meant to BE a brand and how it was supposed to be represented.. From that day, I vowed to never leave the house without a business card, and for the most part I have lived up to that promise. It lets people know you are prepared, organized, and serious about your brand; whatever it may be. Some say, “Well, I don’t have a business or anything, so do I still need a business card?”, and the answer is yes. It’s basically a contact card. You want to have your information readily available when someone requests it. Now, it’s up to you to decide on a design aesthetic that will appropriately represent your brand. Many artists (visual, makeup, hair, fashion styling) create business cards that include imagery of their work, well, because their work is visual. For people with brands that may not particularly be visual, they opt for business cards that are very clean and minimal, with little to no graphics, only including necessary details. I say all this to say, get a business card. Even if it just includes your contact information, it will make you look (and feel) prepared, professional, and serious about what you represent. Logo: Incorporating a logo helps you differentiate yourself from others in a unique and creative way. This identifies you and your brand, and it creates consistency across all of your marketing platforms. Many people get a logo designed professionally, but even something as simple as purchasing a unique font and designing a business card in with that lettering will give your business card a fresh look. Content: I’d suggest keeping it simple, which is actually a challenge for me. I used to feel like I had to put my whole bio on the business card, but that is what networking and the follow-up are for. The business card is supposed to be an outline, and further conversation should fill in the blanks. Think of it as a mini resume’, very mini. It should include your name, the name of your business/brand if applicable, your website address, an email address, telephone number, and all or relevant social media accounts. Quality: There are many companies that offer “free” business cards, but those cards usually come with a “plug” for the company, in the form of their logo on the back of your business card. Honestly, paying the extra few dollars is worth having a quality business card with YOUR brand as the sole focus. This is definitely an individual decision, but keep in mind that a business card plays a part in professionalism, and people will feel like you don’t value your brand if you won’t even purchase business cards. But wait, if you’re skilled enough, you could make your own business cards! I’m all for the at-home creativity. * Extra tip, before ordering/printing your business cards, please make sure that everything is spelled correctly and that you use proper grammar. Human error causes us to make mistakes, so have someone look over it if you have to. Good luck with your business cards! 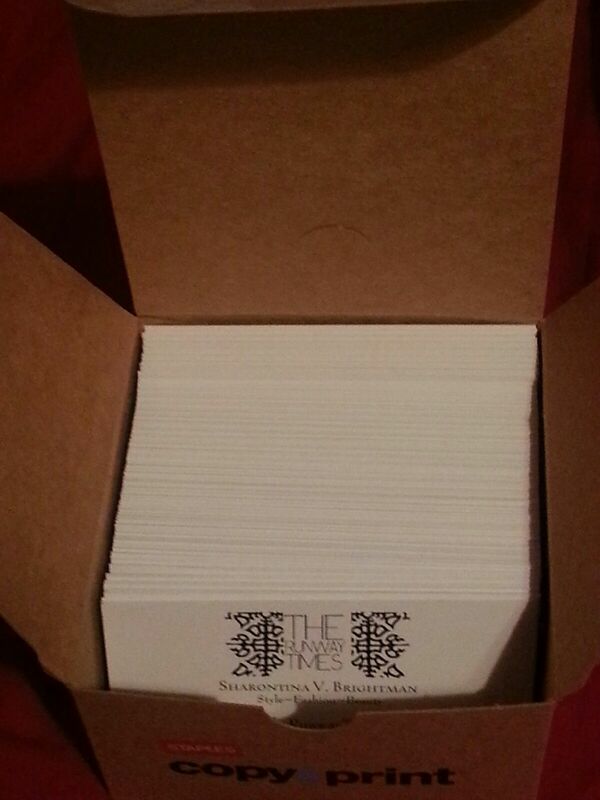 If you have any further questions regarding business cards, email us.